It’s elegant and modern with a boho touch. Yes! 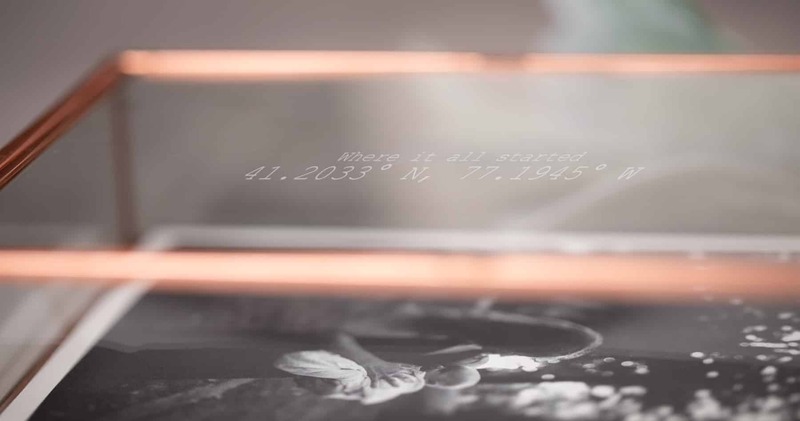 We’re talking about the Glass Photo Box. What is truly valuable about this product is the timelessness of it. No matter the current trend, your client will adore the simplicity of the lines and translucent build. With 3 colors to choose from, it can fit into any household. While this print delivery box is beautiful on it’s own, we’ve found some extra special ways to enhance the wow factor for your client. These simple additions will surely get your client to tell their family and friends how special it was that you went the extra mile. This is my personal favorite addition. A couple spends months planning their wedding and in the end, many of the flowers used during the big day have no second use. Drying or pressing the flowers yourself will immediately take them back to their wedding day upon seeing them. If they happen to be a fragrant flower like lavender or roses, the smell alone will grab their attention when opening the box! Get in touch with the florist to see if they would have an extra flower or two they could provide you. If you’re not sure who the florist is, tell an immediate family member your plan and ask if they’d be able to help you get ahold of a sprig to include. Never take flowers out of a display yourself. You don’t want the bride, groom, wedding party or guests to think you’re ruining the bouquets! Didn’t photograph a wedding but rather a family or senior portrait? The field of sunflowers or the green forest floor are good inspiration! Look around and consider what the individuals might have a connection to. 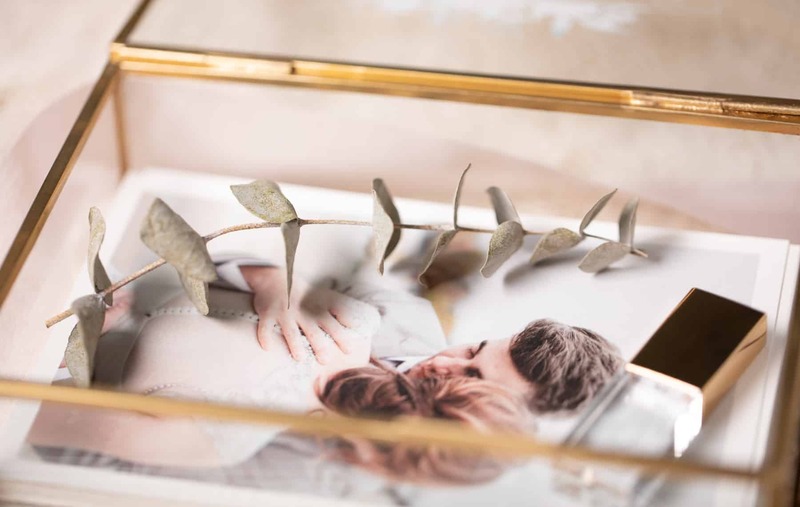 The photographs alone are beautiful in the Glass Photo Box but adding a simple ribbon can enhance the delivery. Was there a significance to the bridesmaids dress color? Is the newborns room painted a specific shade? Was there an accent color in the couples home? This simple and cost effective addition will let them know you noticed the things they took time to decide. 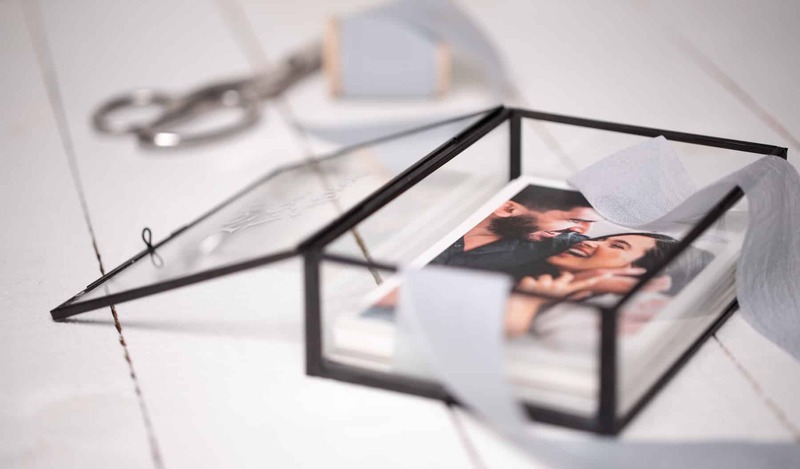 Our Glass Photo Boxes come with 1 standard strand of ribbon in 14 different colors. However, if you’re looking for something more elegant, we highly recommend a silk or organza ribbon, like the one below, that can be found at your local craft store. A simple customization of the box can lead to recommendations. They might tell their friends and family members the additional mile you went to make it extra special for them. That’s great word of mouth marketing! Wanting to include digital images as well with your delivery? Our customizable Crystal Flash Drives are the perfect match. If you wanted to include your logo, this is the place to do it. Our sub-surface engrave crystal drives will make your logo shine while being the center of attention, literally, suspended in the middle of the crystal. 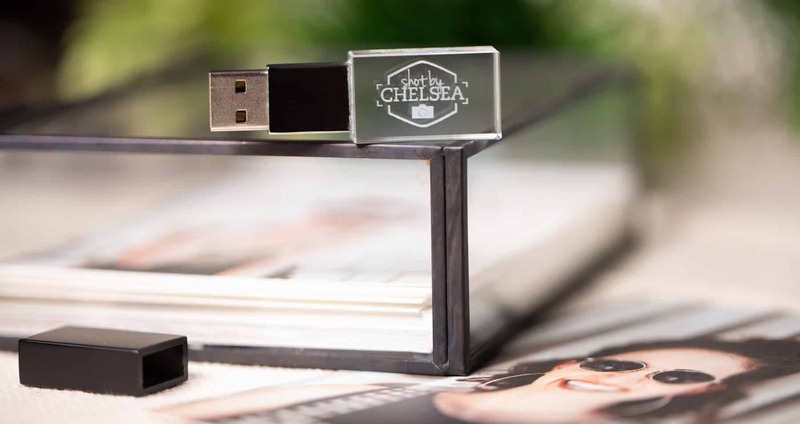 While the Glass Photo Boxes are limited to holding 125 photos, our customizable flash drives, which are available up to 64GB, are the perfect way to provide your client all files. Available in Gold, Rose Gold and Black as well as 4×6, 5×7 and 8×10* allows you to choose the perfect color and size for your delivery. Studio Samples of both Glass Boxes and Crystal drives are available, too, if you’re stuck between colors! This entry was posted in Tips & Tricks and tagged business tips, Print Delivery.